The law relating to how your data is processed and stored (General Data Protection Regulations) is changing as of 25th May 2018. This privacy notice lets you know what will happen to any personal data which you give Walker Scott Ireland Ltd.
We hold your personal data on a contractual basis. Personal details you have supplied to us may include photographic ID, your name, address telephone and E mail address. Personal information which you have supplied to us will not be used for any further purpose other than keeping in contact with you. Anti-Money Laundering Regulations stipulate that we must hold onto your information for a minimum of 5 years, however, as recommended by RICS we will hold onto all our files (and your contact details) for 10 years. We will remove your details from our files after this time period has elapsed or contact you to seek your consent to continue to hold your data. We will only contact you by E mail unless this is not available, in which case we will contact you by telephone or by post. When the property sells, we will make no further contact with you unless you have specifically requested to be notified of any other relevant property sales thereafter, however, as required under Anti Money Laundering Regulations, we will keep your details on file for 5 years. Where no contract exists, and money laundering regulations do not apply, the new law stipulates that we must ask you to confirm whether you would like us to keep in touch. We rely on the legal basis of consent to process your data. We will hold your details including your name, address, telephone numbers and e-mail address. We may contact you using any of these details but only in relation to your business purpose. As previously requested, you have given us your details to hold in our files in order to keep in touch with you. We will review our files annually and remove personal information we do not consider necessary for business purposes. Where we rely on your consent to hold your personal data, you have the right to withdraw consent to hold your details at any time by contacting us on the e mail supplied below. All information is held on a secure server. Cookies are small data files that are sent from our website to your browser. These are then sent back to the server allowing our website to recognise you upon subsequent visits, thus enabling us to make your visit to our site run smoothly. 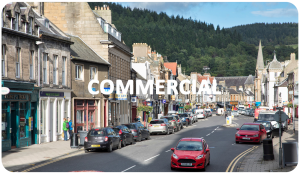 This website is owned and operated by Walker Scott Ireland Ltd.
We are a registered Company in Scotland under registration number SC500115, and our registered office is at 82 High Street, Peebles, EH45 8SW. Should you need to contact us, you will find our details on the Contact page of our website.